How come people are abusing Bath Salts? There is a growing tidal wave of use and abuse of Bath Salts. These are not the kind of Bath Salts you would ever put in water and soak in. 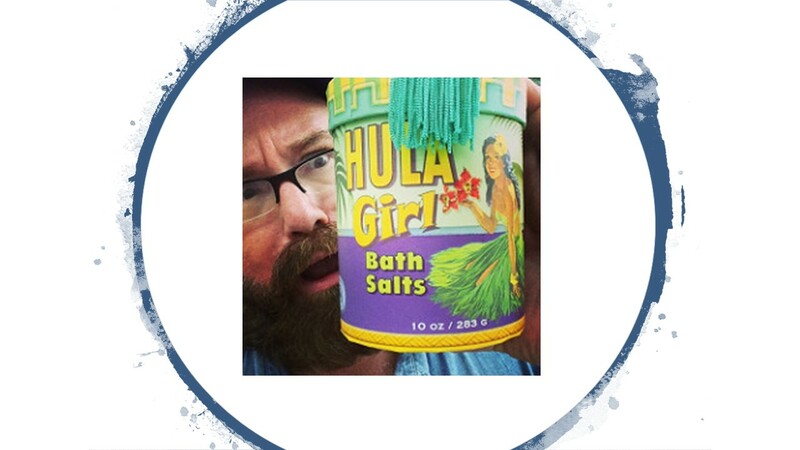 Bath Salts are also sold under a number of other names including Plant Food, Water Pipe Cleaner as well as a host of brand and product names. These products made use of a loophole in the laws of the U. S. and other countries, which exempted chemicals from regulation as drugs if they were “Not for Human Consumption.” These drugs were imported without restriction because of being labeled for uses other than human consumption. Here in the U. S. they were then repackaged in small amounts and sold in small stores. While labeled “not for human consumption” it has always been clear that users were buying these packages to consume them. The primary ingredients in many of these products are amphetamine-like chemicals in the Cathinone Family. Cathinones are synthetic versions of a drug originally found in the Khat plant from north-eastern Africa. Before becoming popular as drugs of abuse these drugs were primarily used to kill insects hence the name “plant food.” The name “bath salts” is reported to come from the way these drugs are often packaged to look like bath salts. Bath Salts can be consumed by snorting, swallowing, smoking or injecting. Other possible routes of administration are sure to be attempted. Use of Bath Salts has resulted in a significant number of admissions to hospital emergency rooms. Symptoms of Bath Salt intoxication include a number of serious symptoms including agitation, violent behaviors, heart palpitations and psychotic symptoms. There are reports of these symptoms, particularity psychosis, lasting long after the drugs have been metabolized. At high doses, these drugs can be fatal. The Synthetic Drug Abuse Act of 2012 was intended to reduce the problems with Bath Salts. Some particular ingredients have been made illegal. Unfortunately, this is a very large family of synthetic chemicals and many have never been tested. As fast as one chemical has been tested, found to be harmful to humans and banned, other chemicals have been substituted. More and more synthetic chemicals are being sold and experimented with by drug users. The line between Bath Salts, Synthetic Cannabinoids, and other research chemicals has become fuzzy. New formulations are appearing so rapidly they are now being referred to as NPS (New Psychoactive Substances.) Expect Bath Salts of new formulations and other synthetics to become an increasing problem. Terms and their meaning can differ with the profession using them. The literature from the Rehab or AOD (Alcohol and Other Drug) field may be very different from that in the mental health field. There is still a large gap between recovery programs and AOD professionals and the terms and descriptions used in the DSM. This entry was posted in Drugs and Addiction, What is and tagged Bath salts, Cathinone, Khat, NPS New Psychoactive Substances, Plant food, Substance use terminology, Synthetic Drug Abuse Act of 2012, synthetic drugs, What is by David Joel Miller. Bookmark the permalink.